Ground cover plants are an integral tool in the gardener’s arsenal. 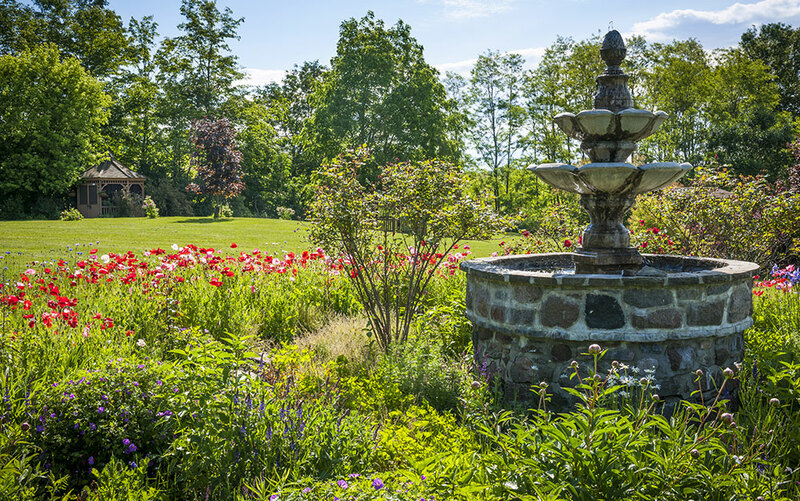 Used right, they can dramatically change the way your garden looks and feels, and give you that polished, complete look that you often see in parks and stately homes. Ground cover plants are essentially low-level foliage and flowers that spread at the base of your borders, providing a carpeted effect that will fill any odd gaps and can also suppress weeds. Some varieties also great to use as insulation for your soil, locking in moisture and keeping it warm during winter in the same way that mulching does. They can even help with soil erosion, using their roots to hold everything together on steeper slopes during rainfall. 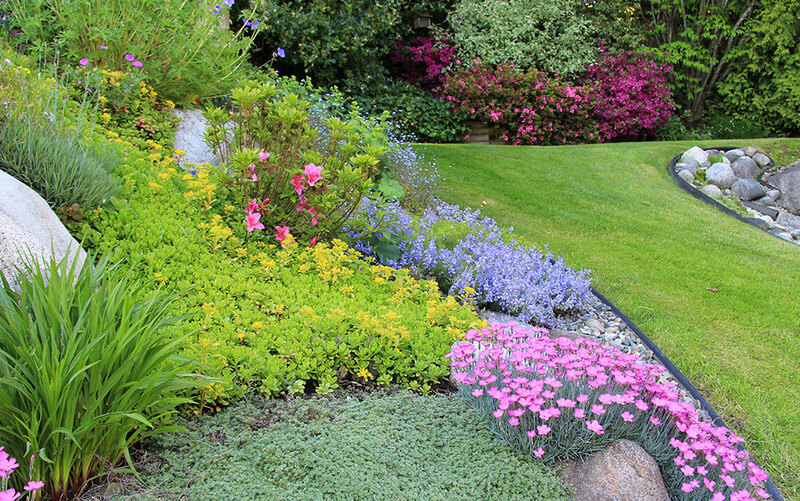 Generally, ground cover plants are planted at the front of borders creating a carpet that leads up to the path or lawn, with medium plants behind and larger shrubs and plants at the back. 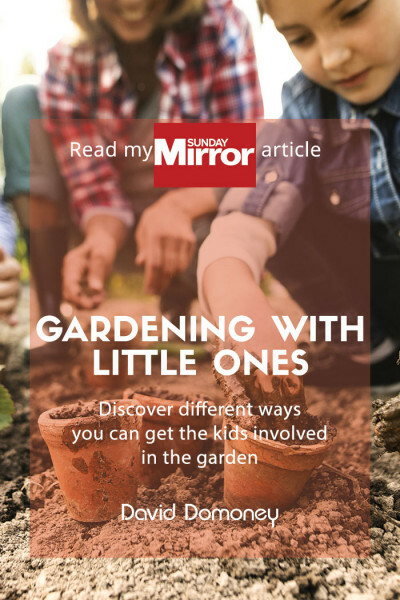 This tiered approach to gardening is a great way to structure all your beds and borders, creating a picture-perfect finish that will wow your friends and family. 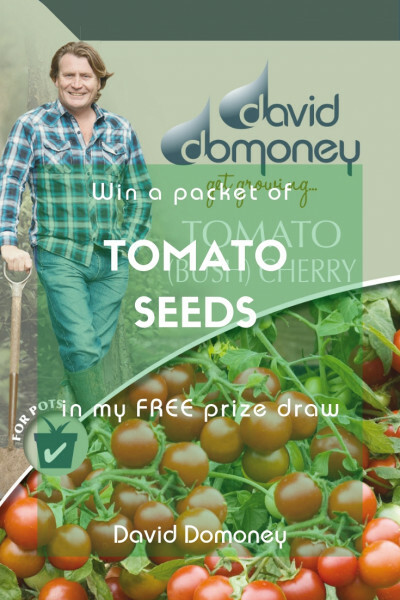 They can also be used at the base of singular trees or large shrubs, turning your larger plants into stunning features. There are three main types of ground cover to choose from: evergreen, perennials and annuals, and there are some great advantages to each. I’m going to share with you a few of the best ground cover plants for all three types, and the reasons why they might work best for your garden. Evergreen plants are a great no fuss choice, as they are often very undemanding and resilient, staying put during winter and providing your borders with structure all year round. 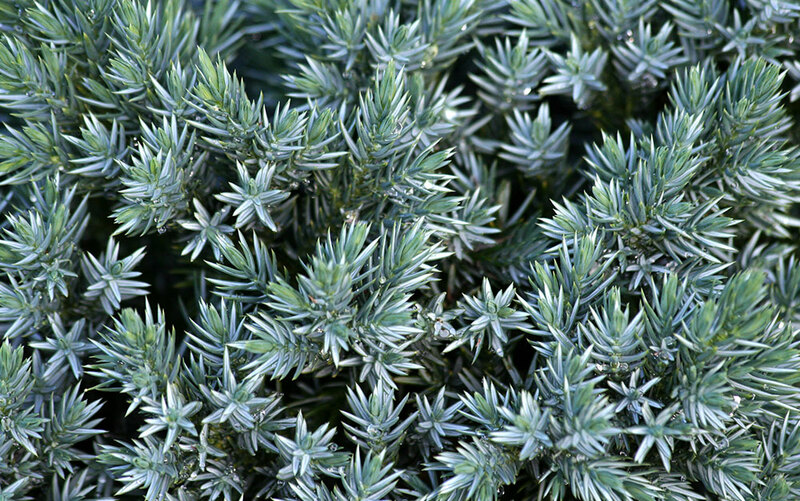 Also coming in a more classic green (Juniperus Communis ‘Repanda’), this evergreen shrub is very low-maintenance, requires no pruning and will form a very dense ground cover with a diameter of about 2 metres. 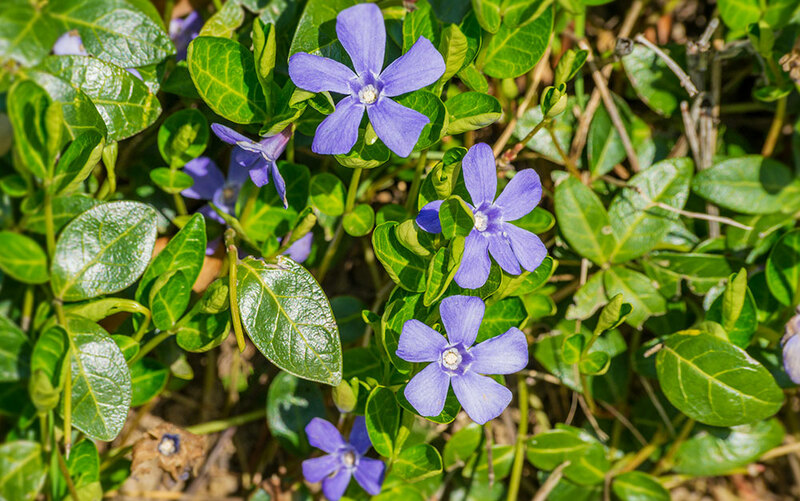 The fast growing ground cover plant Vinca is available in ‘major’ or ‘minor’ depending on leaf size. 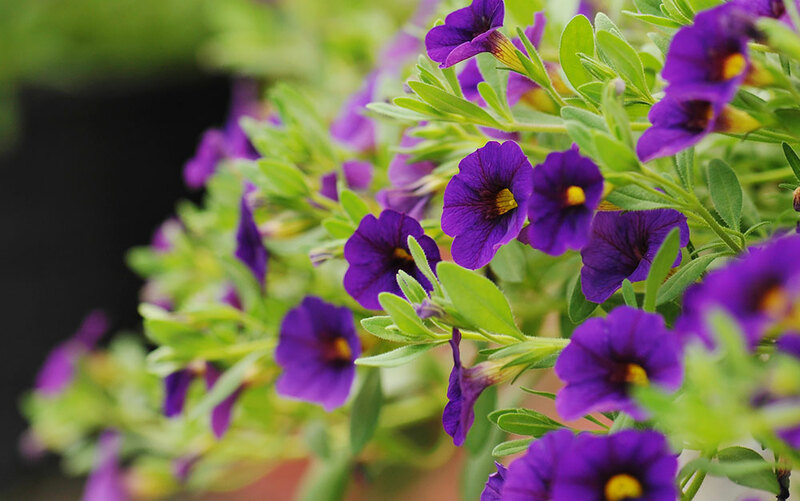 Both are extremely vigorous evergreens that will produce a lovely purple flower from spring through to autumn. This plant is very hardy and will survive in most conditions. I particularly like the mat-forming pachysandra for its interesting foliage and peculiar white flowers in summer. Great for ground cover for shade in your garden, and will work in all but very dry soils. Some other great evergreen ground cover options are; Hedera Helix (Ivy), Mahonia Aquifolium (Oregon Grape), Erica Vagans (Cornish Heath), Cotoneaster Dammeri (Bearberrry Cotoneaster) and Euonymus Fortunei (Emerald Gaiety). 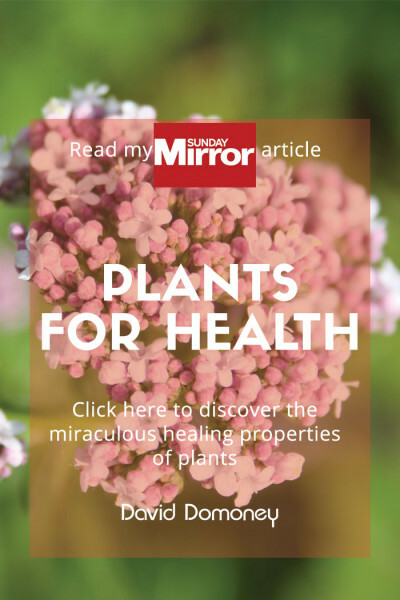 Perennials are great in established borders, and will pop up each year, providing reliable and often very attractive ground cover with some incredible foliage and flowers. 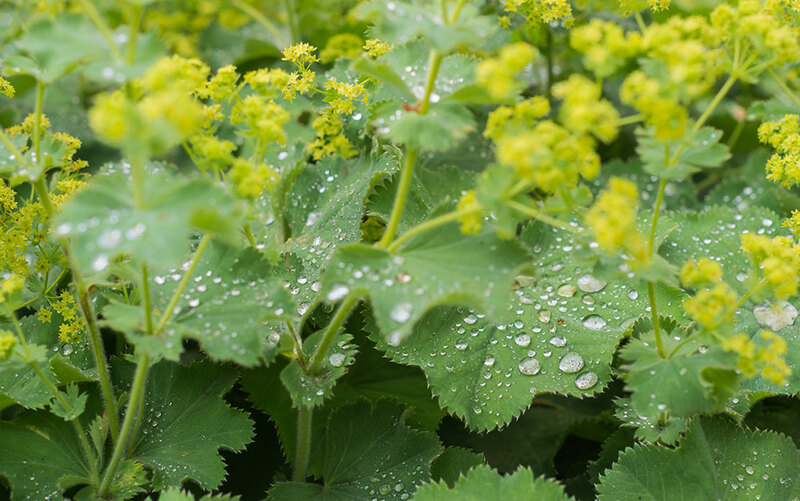 Lady’s Mantle is a lovely green plant with small hairs on its leaves. When rain falls they hold the water in perfect, glistening drops for a dazzling effect. It grows well in most soils and prefers sun or partial shade. 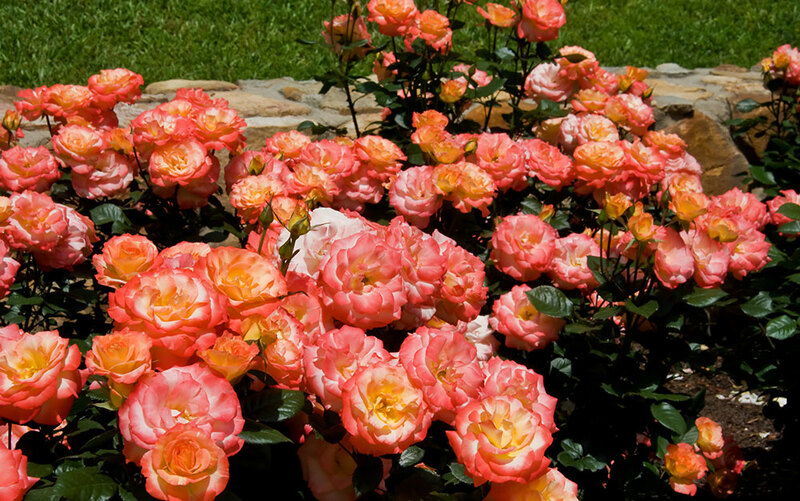 There is an amazing array of ground cover roses to choose from but I particularly like this one for its peachy hues through summer and autumn. 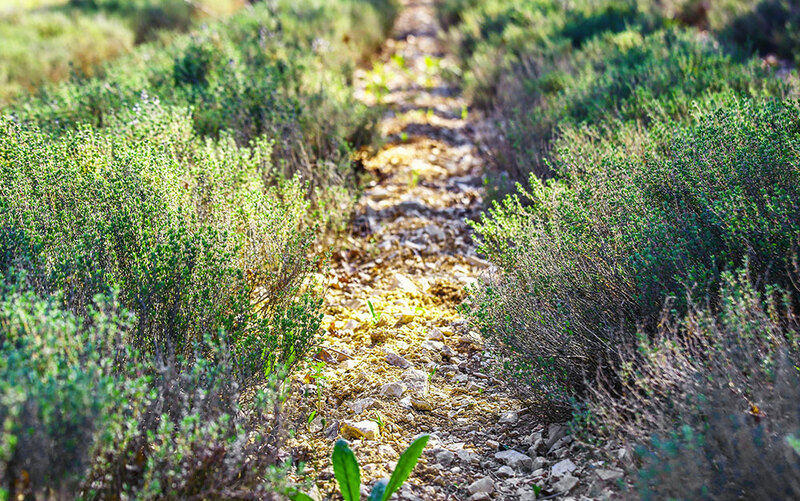 As long as it is planted somewhere with plenty of sun, it will spread up to a metre wide and requires only light pruning. 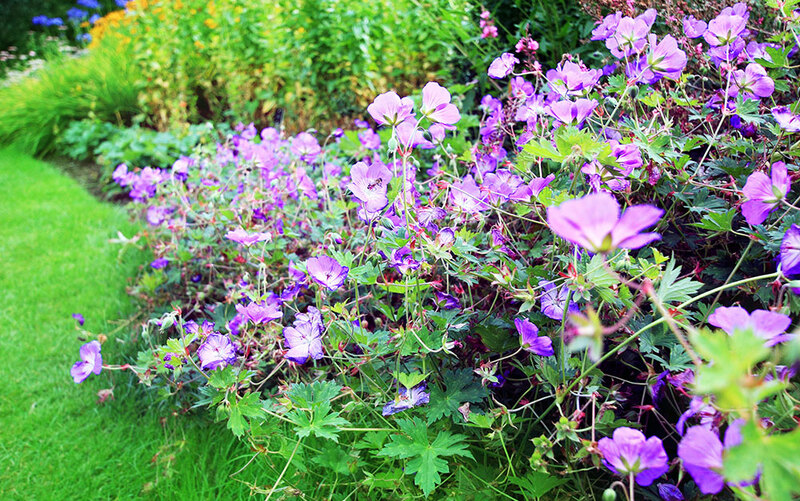 Tolerating shade and all fertile soils, the hardy geranium is also available in other shades such as ‘Wargrave Pink’. They do grow upwards as well as out, so give them plenty of space and they will fill it nicely. A few more of my favourite perennial ground cover choices are; Saponaria (Tumbling Ted), Pulmonaria Officinalis (Common Lungwort), Ajuga Reptans (Bugle), and Phlox Stolonifera (Creeping Phlox). A good choice if you like to be creative and change things around from year to year, annual ground cover plants are less common but an especially stunning and unique addition to your borders. 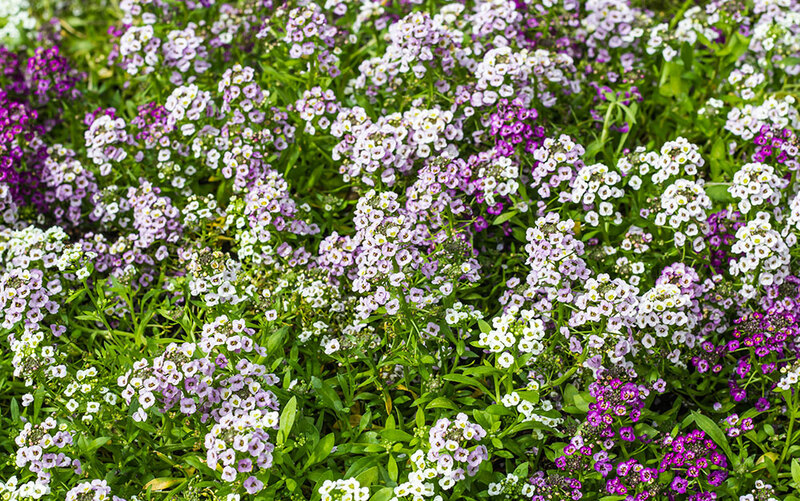 Spreading to about half a metre, the low growing Alyssum produces dense carpets of flowers in shades of white and lilac. A great choice for sunny spots with well-drained soil, the Alyssum will also bring a lovely fragrance to your summer garden. With delicate flowers and soft petal-like leaves you’d be forgiven for thinking this trailing plant was high maintenance. 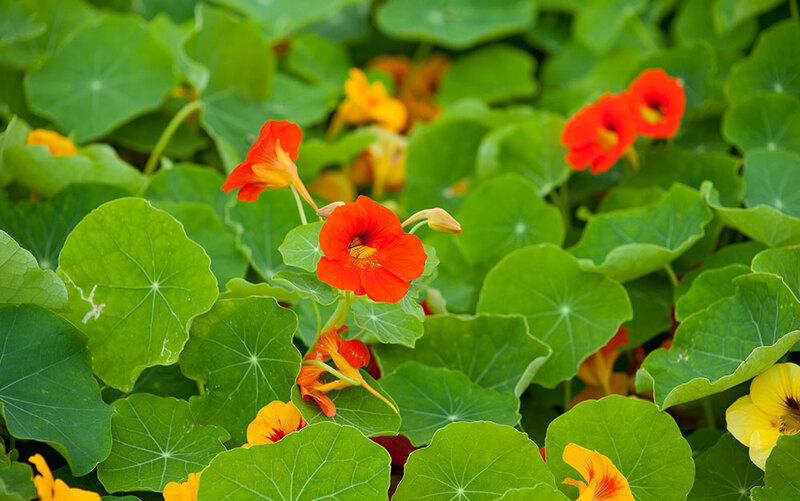 In actual fact, the Nasturtium will quickly scramble up to two and a half metres over infertile soil, as long as it has plenty of sun. It is also a perfect plant for attracting bees, which adds to its summery charm. Trailing varieties of petunia such as this one work well as carpet ground cover and will spread thick and fast. Flowering a deep purple through summer and autumn, you’ll get the best out of it by finding a sunny, sheltered site with moist soil. Here’s a few more ideas for annual ground cover plants that I really like; Limnanthes Douglasii (Poached egg Plant), Lobelia Erinus (Trailing Lobelia), Osteospermum ‘Blue Eyed Beauty’ (Cape Daisy) and Petunia (Purple Velvet). 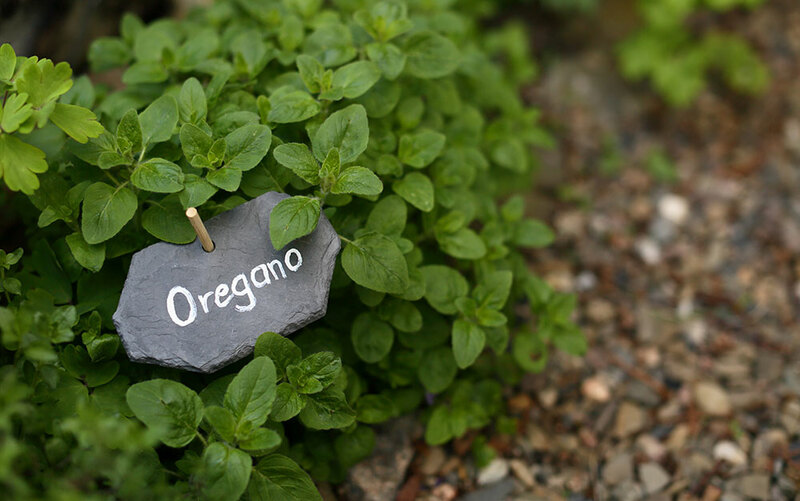 Why not try bringing your garden into the kitchen by planting herbs as ground cover? 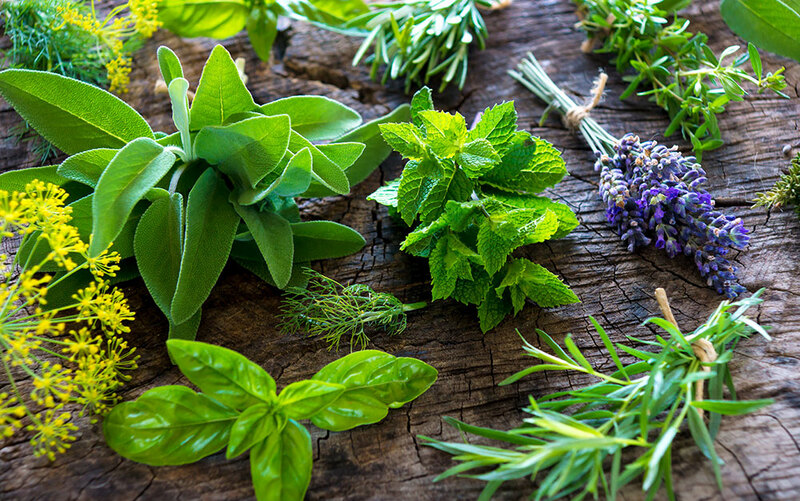 Not only will you now always have these herbs to hand, you’ll fill your borders nicely and bring in some wonderful scents to your garden too. Creeping Thyme is an an especially good drought tolerant ground cover for very dry areas of your garden. 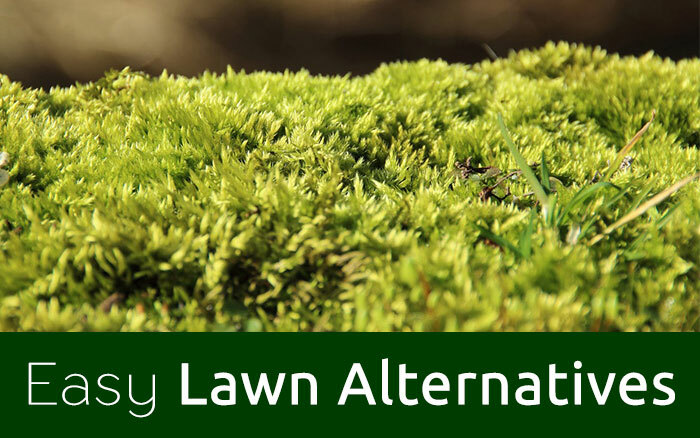 • If weed prevention is your main aim, try to find evergreen varieties of ground cover that are really dense. • Make sure you have fully eradicated all existing weeds before you plant, especially perennials such as dandelions, as these will be near impossible to remove once your ground cover is in. • Keep an eye out for new weeds sprouting up before your ground cover has had the chance to spread. 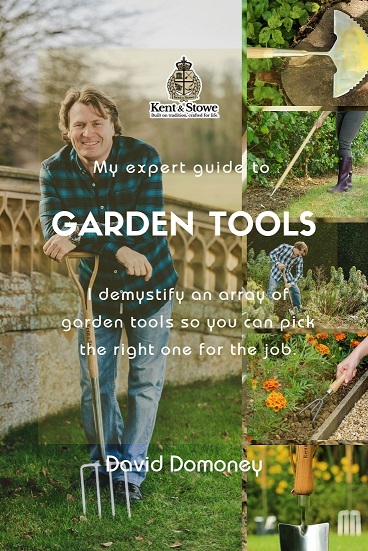 So now you have all the tools at your disposal to put in some wonderful ground cover plants and reap all the fantastic benefits. Not only will they pull together any dull or lifeless looking borders, they will also dramatically reduce the amount of weeding that needs to be done as well as decreasing soil erosion and holding slippery banks firmly in place. Don’t forget to ask at your local garden centre for more ideas of great ground cover plants that will work best in your garden. We have a long drainage ditch at the edge of our garden and the shady down slope is weedy and hard to maintain. Can you suggest a perennial low but wide growing plant we can populate the bank with? Thanks for your comment. I would recommend a Phlox divaricata (Sweet William ‘clouds of perfume’), which is a low growing perennial that has beautiful flowers of pink and purple. 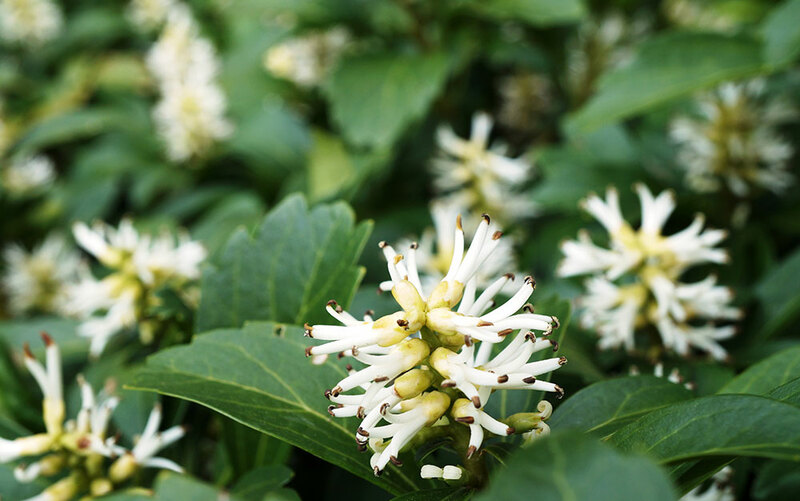 It grows well on shaded slopes and is hardy in most locations in the UK. I hope this helps!